Auburn University at Montgomery will welcome Ross N. Dickens as its new College of Business dean in July. Dickens previously held faculty positions at the University of South Alabama, where he served as chair of the Department of Economics & Finance, and Louisiana Tech University. He earned a bachelor’s degree from Presbyterian College, an MBA from the University of North Carolina and his doctorate in finance from the University of Tennessee. Before attending graduate school, Dickens worked in the banking industry, beginning with First National Bank of South Carolina and then moving to South Carolina National Bank after its purchase of FNBSC. Dickens said he sees tremendous upside in AUM’s College of Business given its location in a state capital and its proximity to an assortment of industries and governmental entities. 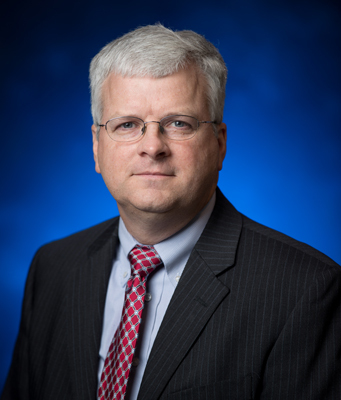 A native of Atlanta who grew up in Birmingham, Dickens has published more than 30 articles in peer-reviewed journals, as well as “Contestable Markets Theory, Competition, and the United States Banking Industry.” He has served on several editorial review boards for academic journals and recently completed a term of service on the Financial Management Association’s Board of Directors. Dickens said he and his wife, Michelle, are excited about returning “home” to a state where they have strong connections. His daughter, eldest son, mother, mother-in-law, two sisters and multiple nieces and nephews all live in Alabama.